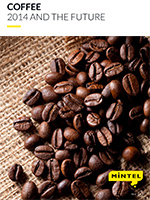 This global annual market overview will provide you with an in-depth review of the key issues in the global coffee market through 2014 as well as our forecast for what will happen in 2015 and beyond. The global coffee market continues to be one of the standout performers in food and drink. It has defied a prolonged economic downturn to consistently record strong growth in the West, and also continues to gain traction in emerging markets which are embracing coffee as part of a more Western, service-led, urbanised culture. The driving force behind coffee growth in Western markets – particularly within retail - is premiumisation. This is evident from the early success of whole bean coffee (e.g. Nescafé Azera). Whole bean also has huge potential to trade up emerging market coffee consumers. A growing coffee shop culture in emerging markets in Latin America and Asia in particular is introducing fresher, specialty coffee as both a product and lifestyle into the mainstream culture, in the same way that Starbucks did in the US back in the 1970s. Another area of growth – and one led by the US - is cold-serve coffee. This continues to gain in popularity, driven by younger Millennial drinkers brought up on colder, sweet-tasting soft drinks.